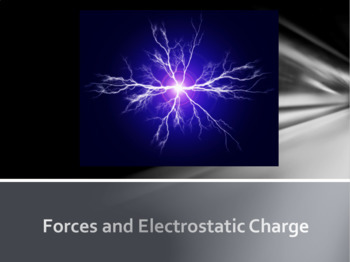 -How is static electricity generated? 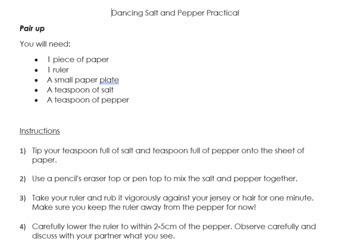 There is one power point, 2 worksheets and a practical activity instruction page (Making salt and pepper dance) included . 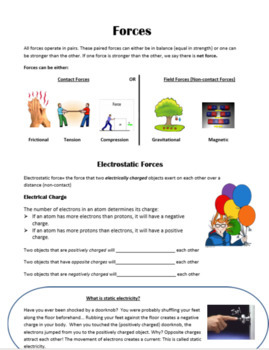 3 formative assessment tasks are also included in the Power Point as well as links to interactive simulations and embedded videos. Worksheets included are VERY straightforward. They were designed to assess basic understanding of concepts and to ensure students did not have to spend much time writing during the lesson.